Mangrove Habitat Mangroves, like these shown at low tide, provide important nursery habitat for juveniles of many marine species. © D. Malmquist/VIMS. Delta Smelt A juvenile Delta Smelt swims above a structured bottom in California's San Joaquin delta. © California Dept. of Water Resources. Exposed Oyster Reef Further study is needed to better understand the importance of oyster reefs as a nursery habitat. © P. Reynolds/VIMS. Wild Celery Meadows of submerged aquatic vegetation—like this bed of wild celery on the Susquehanna Flats—are thought to provide important foraging and nursery habitat for many recreationally and commercially important Bay species. © P. Bergstrom/NOAA. 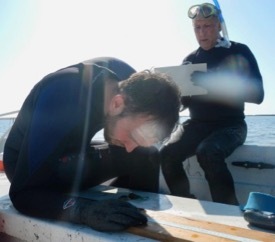 Published today in the prestigious Conservation Letters, the analysis began as a class project at William & Mary’s Virginia Institute of Marine Science. 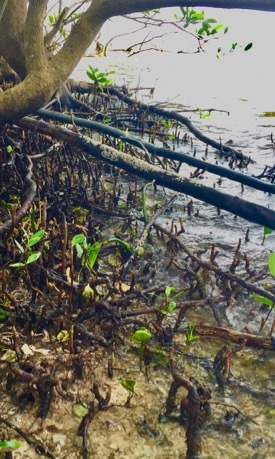 In addition to mangroves and seagrasses, “structured” marine habitats include marshes, coral and oyster reefs, and patches of rock or rubble. Scientists have long considered these habitats better nursery grounds than flat stretches of seafloor sand or mud because of their many elevated nooks and crannies; the team’s analysis was designed to test this idea and determine the relative value of different structured habitats for the juvenile of marine species. 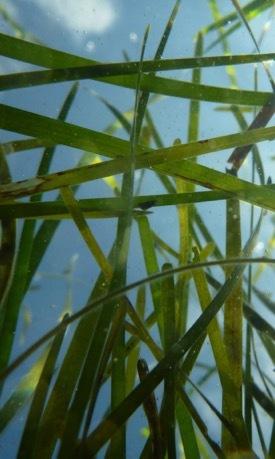 In an increasingly common approach called a meta-analysis, the team began by searching the published scientific literature using a long string of search terms including “nursery” or “habitat complexity” and “marine” or “estuary.” They used additional criteria to winnow their search results to a core group of 160 studies that had compared the performance of juvenile organisms in structured and unstructured habitats. These studies, conducted worldwide between 1986 and 2016, included 11,236 statistical comparisons of juvenile success. The team then analyzed these comparisons for both general conclusions and specific nuances. Lefcheck and his co-authors say their findings substantiate the general nursery value of structured versus unstructured habitats. All the structured habitats they analyzed—with the exception of kelp and macroalgal “seaweed’—held significantly higher densities of juvenile fishes and invertebrates, and in some cases their resident juveniles exhibited enhanced growth and survival as well. Focusing on the relative value of specific structured habitats, they found the highest juvenile density in mangroves and seagrasses. There was little difference among the habitats in terms of juvenile growth or survival, except for coral reefs, which had slightly greater juvenile growth compared to seagrasses, mangroves, or macroalgae. The idea for the team’s study of nursery value took birth during a 2016 graduate-level course taught by Lefcheck–then a VIMS post-doctoral fellow—and VIMS professor Robert Orth. They teamed with graduate students A.J. Johnson, Bruce Pfirrmann, and Bethany Williams; post-doctoral fellow Ashley Smyth; and extramural colleagues Brent Hughes, Doug Rasher, and Michael Beck to undertake their meta-analysis as a classroom assignment. “The concept of a habitat serving as a nursery has been in mainstream ecology for a long time,” he adds, “but there really was no precise definition” until 2001, when Beck, Orth, and colleagues published one in a Bioscience article that has now been cited more than 2,000 times. Simply put, they defined a nursery as any habitat where juveniles of a species have a greater level of “productivity” per unit area than they do in other habitats. Importantly, they also laid out four factors that researchers could use to test for this increased productivity—juvenile density, growth, survival, and movement to adult habitats. A slew of follow-on studies ensued. Findings from these follow-on studies formed the basis for much of the current team’s meta-analysis. Their goal? To chart progress toward a workable definition of a nursery habitat as put forth in 2001 paper—one that managers can apply when prioritizing conservation decisions in the real world of limited resources and competing uses. Though they found clear evidence that mangroves and seagrasses are important nursery grounds, Lefcheck’s team cautions that their analysis was hindered by the relatively small number of studies focused on other, less-studied habitats. 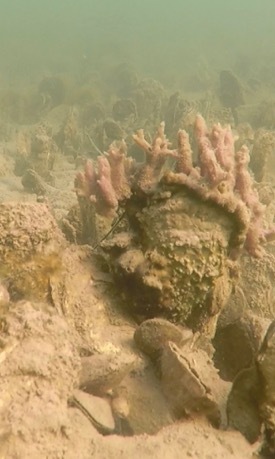 “We still don’t really know what’s going on with oyster reefs and kelp forests,” says Lefcheck. “So we have more work to do to bring our understanding of those habitats up to what we know from well-studied ones like seagrasses and mangroves.” Such knowledge will help clarify the management of those habitats in the same way as it has for seagrasses and mangroves. The researchers also note they found no studies that had used recruitment—the survival of juveniles into the adult population—as a measure of a habitat’s nursery value. They encourage such studies as another means to clarify and refine the nursery-role hypothesis.